One of our favorite products out there is the MaxPreps’ Qwixcore system. The massive amount of engineering to create the product and marketing to actually get people to use it is daunting. As it enters its third football season, the product looks better than ever. Internet media expert, Noah Stanley gives his synopses. "One of the reason why I’m such a fan of this product is because, I was part of a product team that wanted to do exactly this. In 2007, I was asked to help improve the Rivals product in the High School market. I put together a package that showcased user-generated live scoring, photos and video, AP-supported scoring and stats, a user-generated recruiting profile system and a site that helped connect recruits to recruiters. The people that make decisions liked the AP-supported scoring (estimated to cost more than $1 million for just boys football and basketball, and not every state), and a social network for athletes (not something I pitched after considering it early in the project). Those products never ended up receiving resources to progress, but I continued to work through the process of user-generated scores and still strongly believe in this concept. 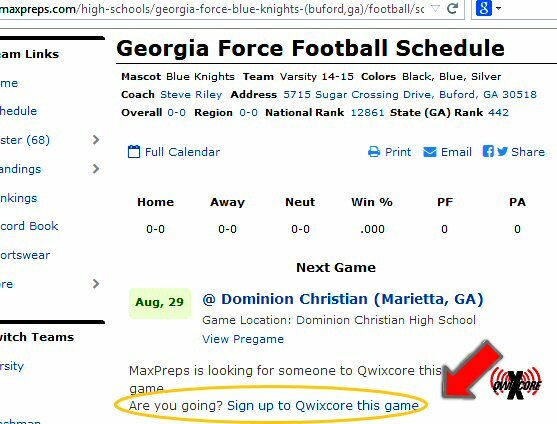 While berecruited.com is close to mastering the “connect recruits to recruiters” method, Qwixcore has done the same for user-generated scores. Another reason I’m a fan is the procurement of stats for any sports sites is prohibitive. STATS Inc and other stat providers do an excellent job, and provide many different levels of service depending on what you want. However, the price to use one of these companies gets expensive pretty quickly just for a basic package." So how does Qwixcore work? How Qwixcore works is that it publishes live updates from games with an easy-to-use interface which can be operated on any Internet connected touch screen mobile device (e.g. iPhone, iPad, Android and Blackberry Torch) or notebook computer. 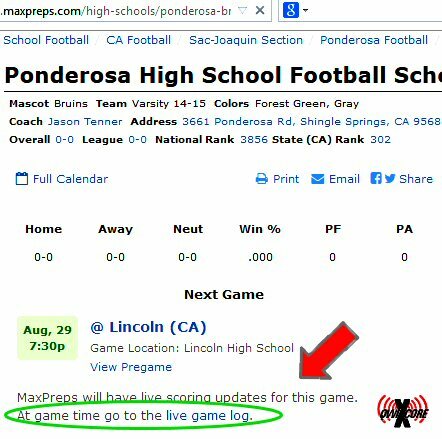 Once fully formed, MaxPreps.com will become the first and only media property to provide live scoring updates for each of the approximately 16,500 high school football programs in the United States, making QwiXcore the largest ad hoc network of live sports data scorekeepers in the world. The system allows just one user to manage the game, so make sure you want to do this before you commit (you may cancel your game too). I walk you through the easy sign-up process step by step in the gallery below for those interested in participating in Qwixcore. If you’ll be at high school game in the upcoming weeks I highly recommend giving it a shot. Who Can Be A Qwixcore CBS Correspondent? Can I Sign up for multiple games? Will It Send Tweets of Quixcore Updates? 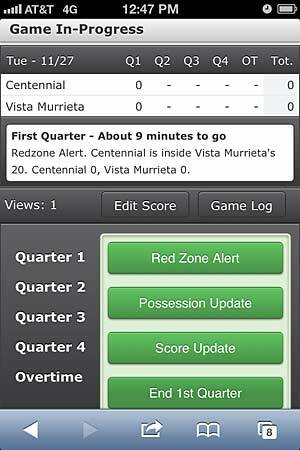 At game time, fans everywhere can get live reports. Hang on to the email Maxpreps sends you. Let all the team's fans on social media know the link to follow the game updates.